The Wand is incredibly popular with our Dental Fear Solutions patients. It is a computerised delivery of the local anaesthetic solution making the process of numbing your tooth up even more comfortable than normal. The Wand looks like a pen and offers an alternative to the traditional syringe. For many people with previous negative experiences of dentistry it can help to remove some of the images and sensations that are associated. The Wand can help hugely by making the whole experience easier. Most of the time with traditional injections the discomfort arises from the pressure of the solution being added rather than the needle itself. The computerised delivery provided by the Wand makes things more comfortable by adding it gently and slowly. It also offers unique techniques including applying the tip and solution down the side of the tooth to provide numbing of a single tooth. This technique even avoids the sensation of the numb lip/ tongue/ cheek that some people really dislike following dental treatment. It should be clarified that The Wand does have a very small, discrete needle tip in order to apply the solution. The aim of The Wand is to remove the pain from injections. So it is primarily a product to help people who suffer from a phobia of dental pain. If you have a phobia of injections The Wand can still make a big difference and many find it incredibly helpful- particularly utilising the ‘single tooth’ technique that allows the solution to be added down the side of the tooth and avoids an actual injection. We can also re-assure you that the same, strong local anaesthetic solution is used so it’s just as (if not more) effective than usual. One of Niall’s main priorities is that your dentistry is comfortable at all times so he puts a big focus on ensuring things are effectively numbed up to allow you to feel confident and relaxed whilst mending your teeth. You may not even notice that you’ve had the injection! Is there still a needle and injection? Yes! The aim of The Wand is to remove the pain from injections. So it is primarily a product to help people who suffer from a phobia of dental pain. If you have a phobia of injections, it could be that your phobia is still pain-related and The Wand will still make a difference. Many people who suffer from a needle phobia do find The Wand helpful. The reason for this is it’s innovative, advanced, patient-friendly design. Does it still work the same as normal injections? Yes. 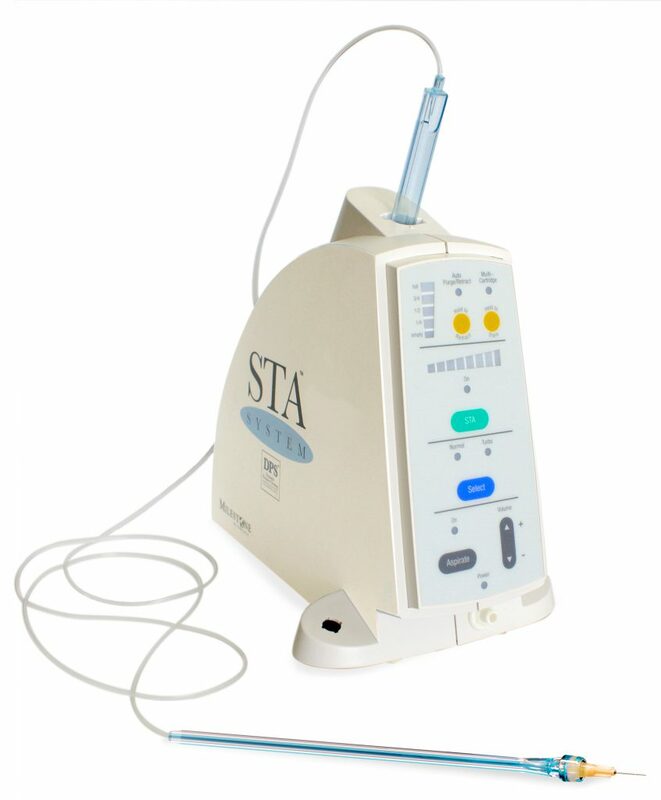 With the aid of cutting-edge technology, The Wand delivers exactly the anaesthetic you need, at exactly the right rate. Regardless of what type of injection is required and in which area of the patient’s mouth, the dentist is able to reach comfortably and apply the anaesthetic accurately.